Heat oil in a heavy bottom vessel and fry the spices. Chop onions and saute it along with the spices, till it turns light brown. Chop ginger and garlic and add it to the onions and fry it. Add the mutton pieces and allow it to cook for 15 mins, stir in between. Chop the tomatoes and add it to the mutton and allow it to cook for 15 mins or till the tomatoes get blend well. Add chilly powder, coriander powder and the garam masala and stir for 2 mins. Add the yoghurt and stir well till it is mixed properly with the gravy and allow the gravy to cook for another 5 mins. 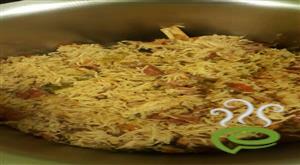 Chop the mint and coriander leaves and add it to the gravy along with the green chillies and cover the vessel tightly with the lid. 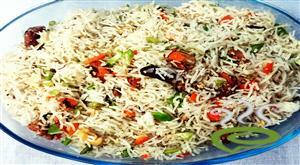 Simultaneously, boil 3 cups of water and cook the rice till it`s half cooked. Add the rice along with the remaining water (if any) to the gravy and mix well and allow it to cook on a low flame with the lid tightly on for about 10 mins. Stir once in between to mix the gravy well with the rice. Switch off the stove and do not remove the lid for another 10 mins. 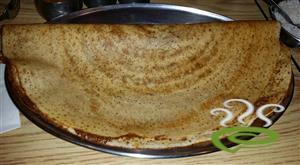 :- This allows the biriyani to dum. 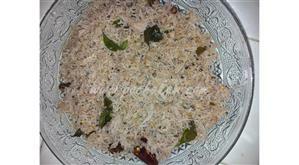 :- Serve the biriyani with raitha and papads. Thank you Larson, glad that the recipe has helped you! Annette, I tried the recipe for the first time and it came out so good. We never get good south Indian biriyani here in North Carolina. Now I can make my own any time. Thank you very much. 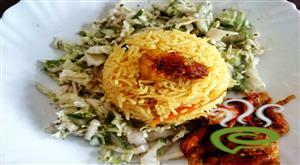 Best wishes..
Really nice recipe..I tried mutton biriyani for the first time and it came out really well..Thanks a lot..
Dear Anusha, Thanx for posting a comment, i have not checked this site in a long time so i dont know for how long your query has been there. To clear them here goes. 1) Yes! 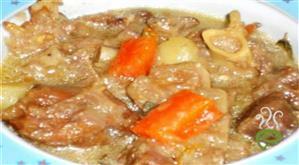 it has to be raw mutton pieces, which will get cooked perfectly well by the time the gravy is done. 2) The rice has to be cooked in a seperate vessel and once its half done transfer it to the vessel in which the gravy is being made and blend well. I hope this clears your queries. 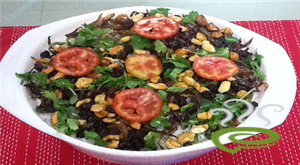 Very good recipe for mutton biryani.It has a professional taste of biryani. 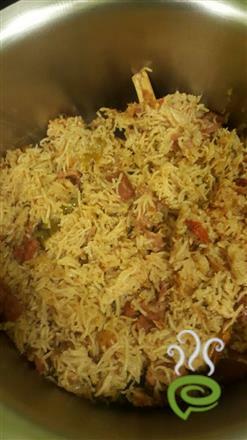 The biryani came out so well and I recommend that everyone try out this recipe. Directions missing after the website redesign. can you please update?